Will Belarus leave Russia to join Europe? The battles over oil and gas have unexpectedly led to an excessive list of complaints from Belarusian President Alexander Lukashenko. The "time of free lunches" for Belarusian President Alexander Lukashenko is over, and Russian experts say that the usual format of relations between Moscow and Minsk is in a deadlock. Which way will the two countries go now? Russian-Belarusian relations are once again in a state of crisis. This has happened many times before - the two countries regularly go through dairy, sugar, oil and other types of trade wars. Every time, however, they ended well, with an acceptable compromise. It might seem that Minsk and Moscow are once again going through their usual haggling. 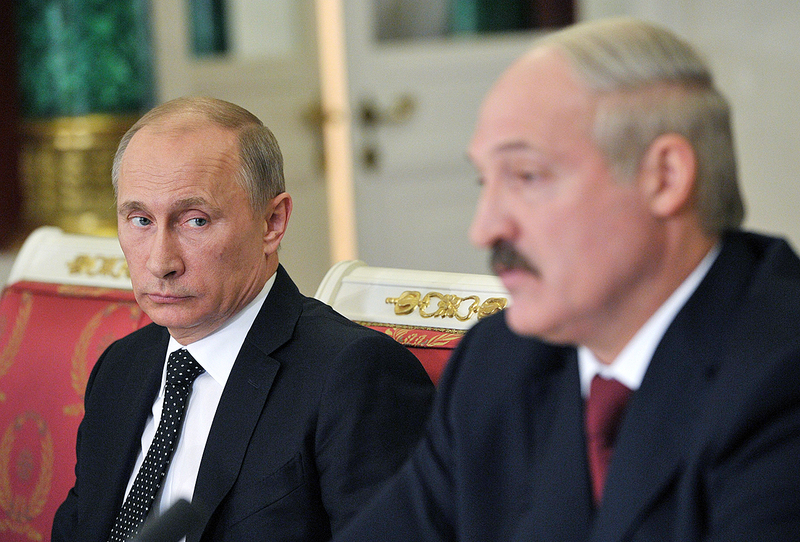 At stake are Belarus' debt for gas, and Russia's decision to cut supplies of subsidized oil. The battles over oil and gas, however, have unexpectedly led to an excessive list of complaints from Belarusian President Alexander Lukashenko. Some of these complaints have turned spats completely unfitting for allies, and the rift between Moscow and Minsk is deepening, experts say. Whatever direction relations between the two countries take, there is now a new aspect to contend with - the Kremlin has a much more hostile attitude towards Lukashenko's maneuvering between Russia and the West. Despite the current disagreements, the conciliatory scenario still remains most likely. There is a whole set of issues on which Minsk wants to remain a beneficiary and acts according to a format that it has been practicing for over a decade. "Lukashenko sets the bar high, then makes small concessions, and in the end achieves a significant part of what he wanted in the first place," said Yury Korgunyuk, head of the political science department of the INDEM Foundation. There are weighty arguments in favor of this scenario. Take, for example, the Russian oil supplies that have essentially subsidized the Belarusian economy. Belarus has been selling oil products to the West, thus receiving export revenue from cheap Russian oil. On top of that, the Belarusian economy is highly dependent on the Russian market. In 2015, Russia's share of Belarusian trade was 48.3 percent. Lukashenko will most likely try to step back, agreed Vladimir Yevseyev, head of the department of Eurasian Integration and Shanghai Cooperation Organization Development at the CIS Institute. How serious is the row between Russia and Belarus? "Russia has always given way in such disputes and Lukashenko is used to this, but he does not quite realize that the situation has changed; the time of free lunches is over," said Yevseyev, noting that this time Lukashenko has clearly gone too far in his overtures to the West. For example, suddenly, and contrary to bilateral agreements, he refused to allow a Russian air base to be built in Belarus. Moscow doesn't have much room to maneuver either. The "oil in exchange for kisses" model is no longer viable, and gas prices for Belarus are likely to go up. "But the Kremlin realizes that the Lukashenko regime can't function without these subsidies, and he will have to be subsidized to avoid another Ukraine," said Korgunyuk. Lukashenko steers a course towards the West and chooses a policy of open confrontation with Russia. Lately, the West has noticeably softened its position toward Belarus, said Andrei Kortunov, general director of the Russian Foreign Affairs Council. Lukashenko has temporarily stopped being regarded as the "last dictator in Europe," and has attracted the attention of the European establishment in a different capacity - as a peacemaker. First of all, this alternative course is uncomfortable and costly. All Europe can offer Belarus, bearing in mind its limited resources, is political support. "But Belarus does not need this; Belarus needs cheap loans, which it won't get, as well as cheap oil," said Yevseyev. Second, Lukashenko has not quite lost his dictator status. They simply forgot about it temporarily, but they will definitely remember it again. Anyway, Lukashenko remains an autocrat, and Europe doesn’t play according to these rules. The outcome of this scenario would be rather unfortunate for Minsk, experts say. Essentially, it will be Lukashenko's political suicide. European aid will be ephemeral, Belarus will be steamrolled, and there will be no Russian "carrots." This will be the most shocking outcome, and possible only if Belarus tries to integrate into the EU but doesn't find conditions that will be acceptable. Then, its leadership, finding itself in a difficult situation, will be forced to step down, to be replaced by those who accept Russian terms. As far as the government’s forcible removal, that is highly improbable. "Maidan scenarios do not start on their own, and require outside interference, and if the U.S. intervenes, there will be no rapprochement in Russian-American relations. After Ukraine, the EU won't need this either," said Yevseyev, adding that people in Belarus won't take up arms because they have no weapons. "The forest has been fully cleared from the political point of view, and there is no opposition there," said Kargunyan. "There is no one to replace Lukashenko. So it is either Lukashenko, or no one."